I’m not feeling well today as i write this. Nothing related to my bells palsy (for a change) just a regular cold. I have been organizing a lot since I’ve been back in LA and I think I got run down. Self care is a big issue for me! Meaning, I fully believe in it. So i took the day off to rest. I’ve learned to listen to my body and do what it needs. How many of us DON’T do that? How many of us just push thru? I decided that I need to take care of my self but also those around me . I have a job today that I cancelled. I do not want to get my client sick and she get her family sick. That isn’t good. Also not all money is good money and I know especially when you are an entrepreneur, the tendency is to work no matter what! But that’s not good! I choose to protect the village and get better so that I can better serve my community! Super Thought of the Day: Why Haven’t I Began? So you read the quote above and it sounds soooooooo easy, right? OR does it sound sooooooo hard? For me, its the first one. 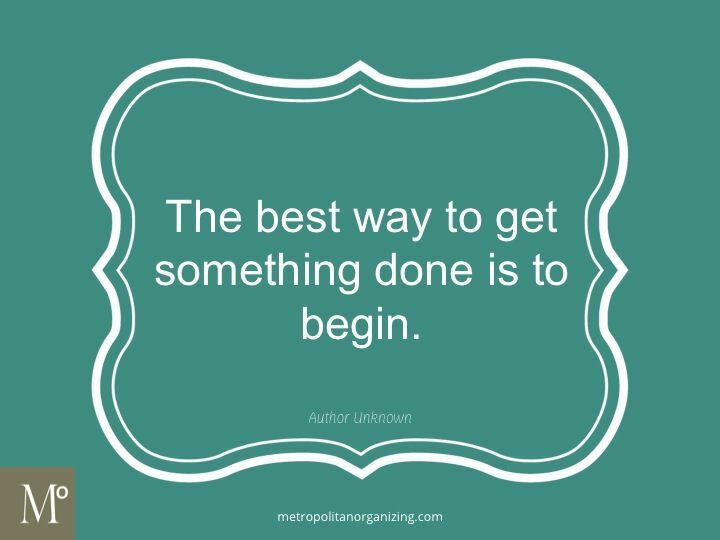 I am a do-er and i have found the more I begin projects, the easier it becomes to begin. Why? Because the unknown is abolished once you start. You SEE whats going on as you DO. If its hard to you, its the connection and motivation you have to muster up AND the doubts of can you do it? Or it seems too hard? Or sometimes its as simple as, I don’t know where to start? If your answer is the one of those, then i invite you to look honestly within your self and challenge yourself to start no matter what! You can always modify, edit and change after you start something! Always!